Green Anglicans – April 10 – Less Plastic Snacks! 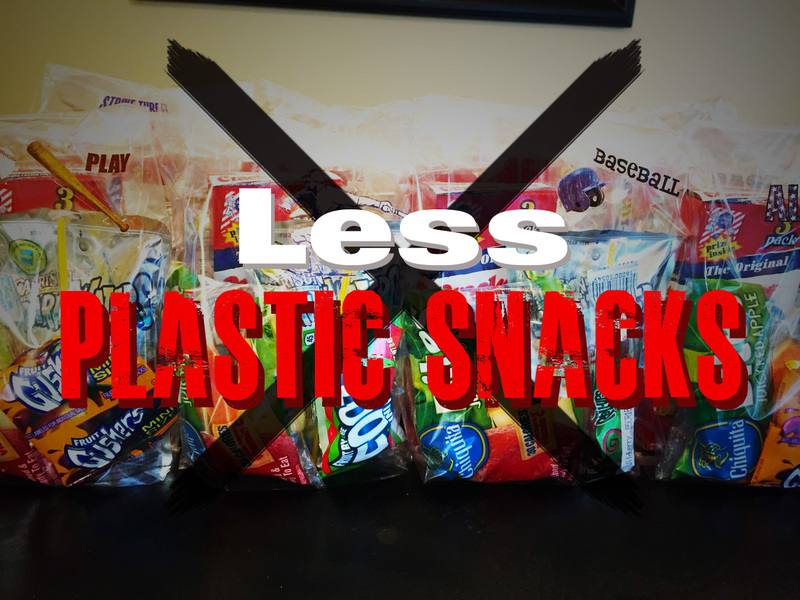 Home » Plastic Fast 2019 » April 10 – Less Plastic Snacks! April 10 – Less Plastic Snacks! Snacks are some of the most high in plastic – but there is lots we can do to make a difference. Most chewing gums are made out of a synthetic, rubbery product called polyisobutylene that is mixed with plasticisers and materials to make the mixture chewable. When thrown on the ground, chewing gum can get stuck to many small animals, such as birds. The birds then struggle to remove the sticky plastic and it can get caught in their beaks, which could result in suffocation, starvation or rotting of their feet if stepped in. Not to mention the plastic and coated packaging chewing gum comes in. Baking your own snacks such as muffins or biscuits is much more fun, much cheaper and produces way less plastic! Keep an eco-brick in the kitchen and have the kids eco-brick their waste from snacks from their lunch boxes. Here is some more info on Eco-bricks if you haven’t come across them. EcoBricks are constructed from 2-litre plastic bottles that have been tightly packed with non-biodegradable waste. Keep your bottle near your bin so that all plastic waste can be put into the bottle. It helps to use a wooden stick of sorts, such as the handle of a wooden spoon, to compact the plastic as much as possible. An EcoBrick is complete when the bottle can no longer be squeezed, and there should be no space inside the bottle. EcoBricks should weigh about 500 grams. Eco-bricks are now being used to build glassrooms, raised flower beds, walls etc, instead of sending the waste to land fill or it ending up in the ocean.